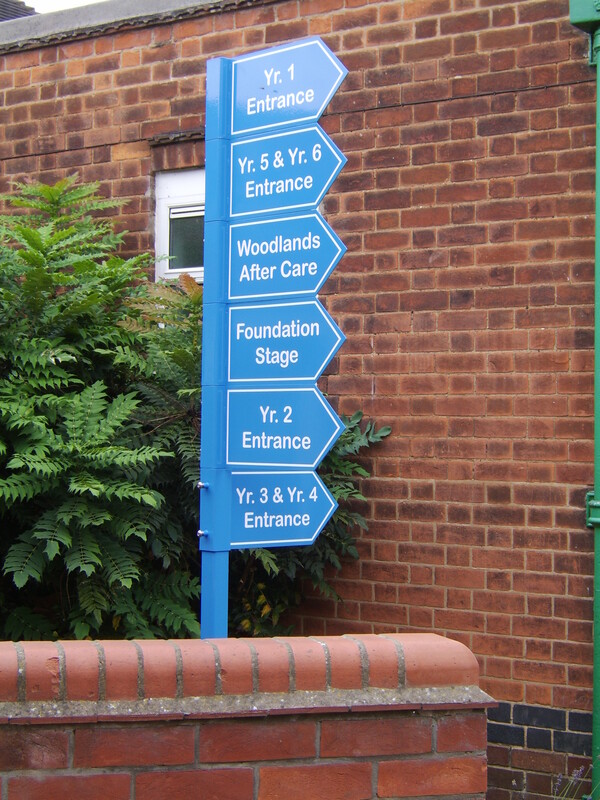 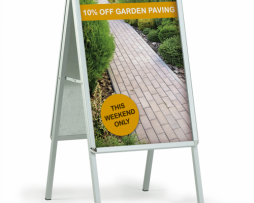 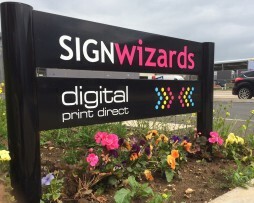 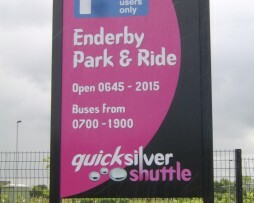 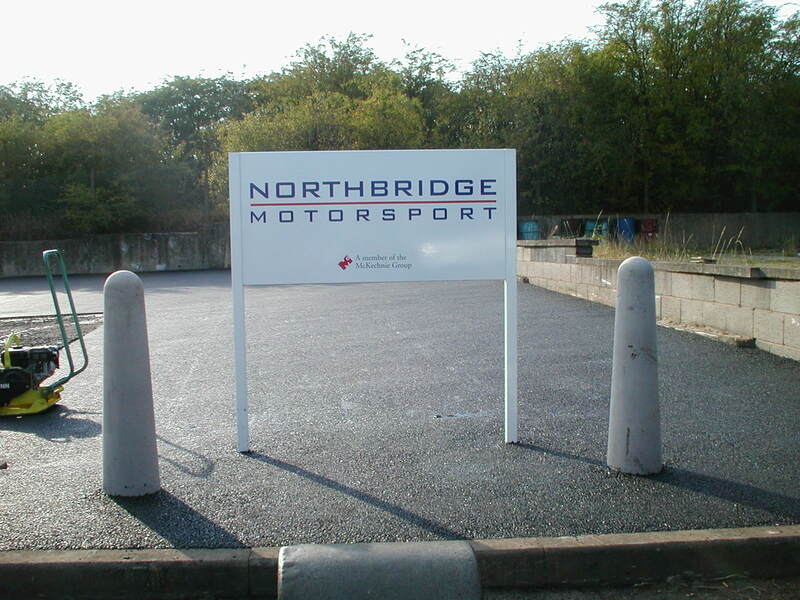 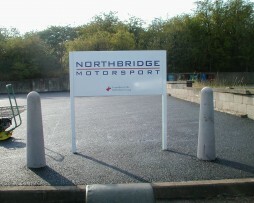 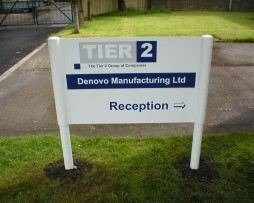 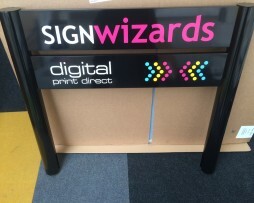 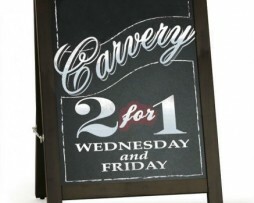 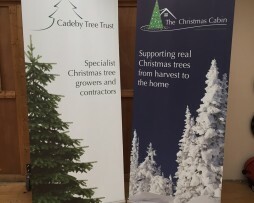 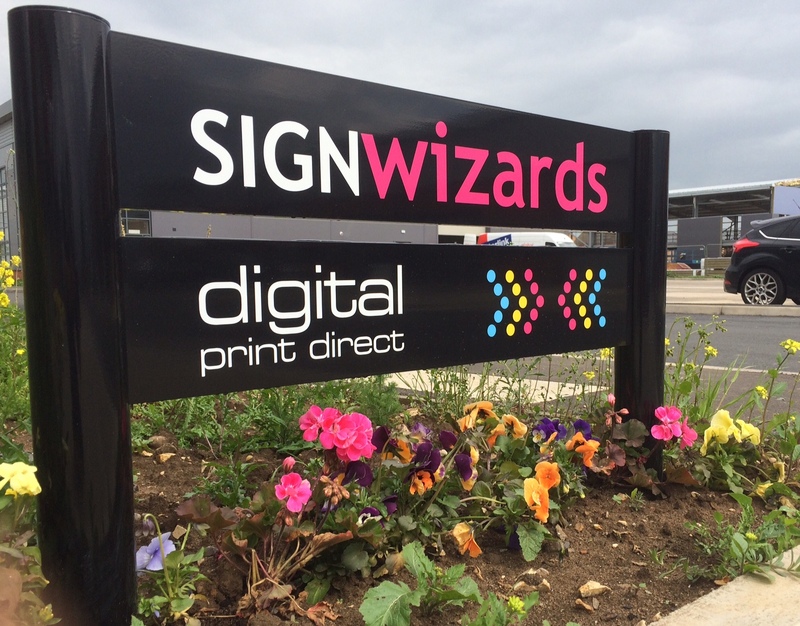 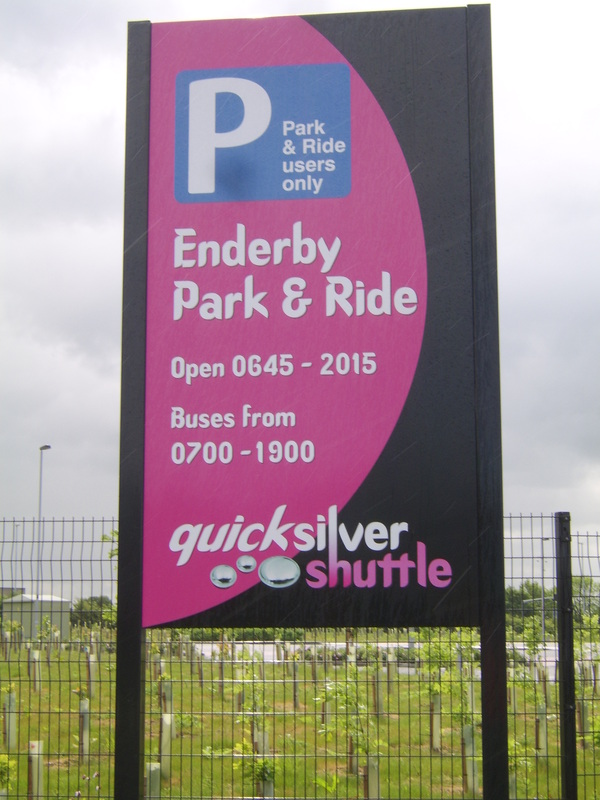 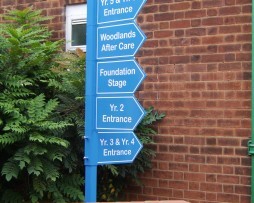 All our post signs are manufactured with either 76mm or 89mm diameter posts up to 6m long with a panel size of your choice anything up to 3050mm x 2050mm in one piece. 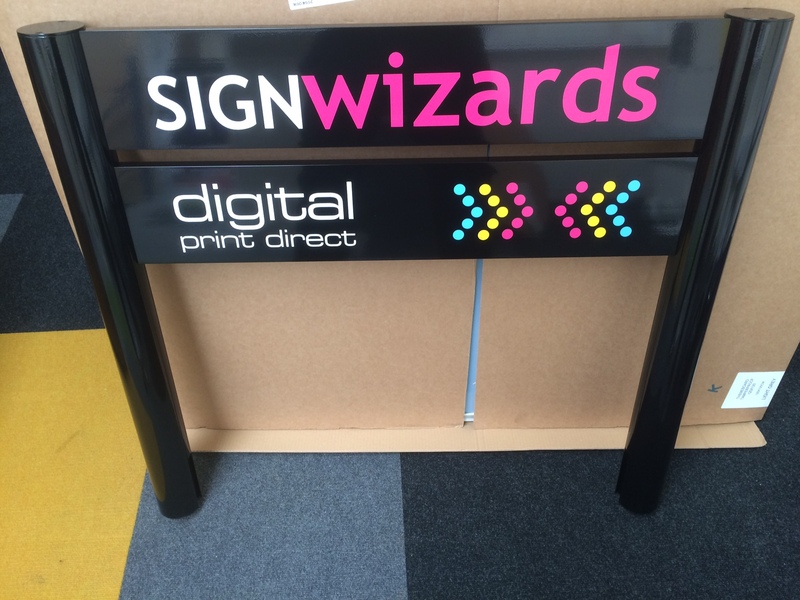 We use a channel fixing to the rear of the panel and then we powder coat the panel and post to any RAL colour of your choice. 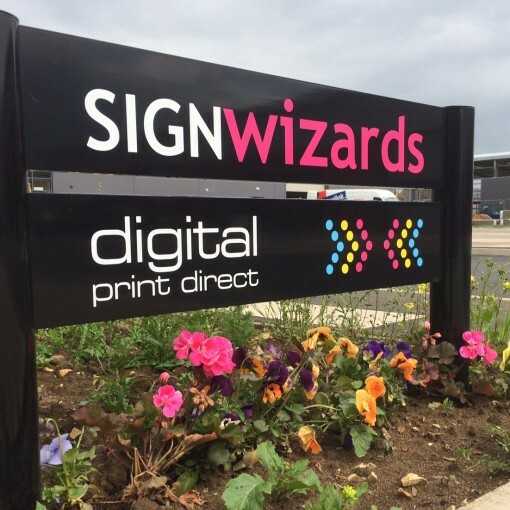 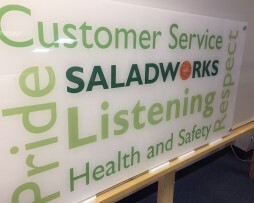 The next stage of the process is to mount the graphics to the face whether it be full colour digitally printed graphics or Cad cut vinyl graphics, for a finished product that will give your clients and visitors that first impression that your business requires.